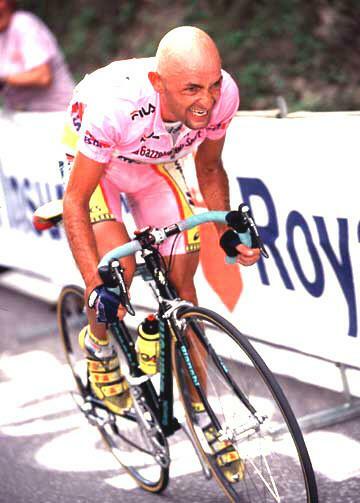 Marco Pantani (13 January 1970 â€“ 14 February 2004) was an Italian road racing cyclist, widely considered one of the best climbers of his era in professional road bicycle racing. 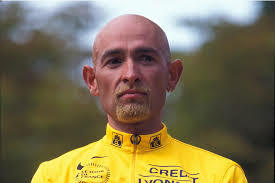 He won both the Tour de France and the Giro d'Italia in 1998, being the sixth Italian after Ottavio Bottecchia, Gino Bartali, Fausto Coppi, Felice Gimondi and Gastone Nencini to win the Tour de France. 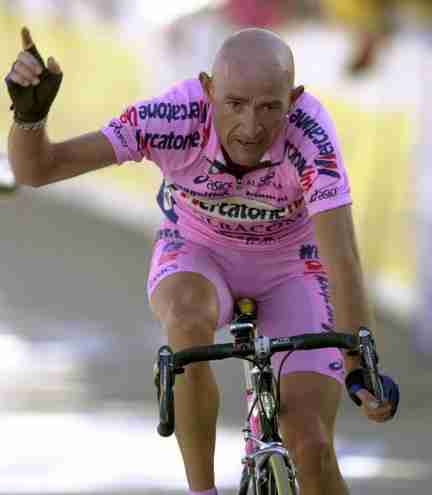 He is the last cyclist, and one of only seven, to win the Giro and the Tour in the same year. 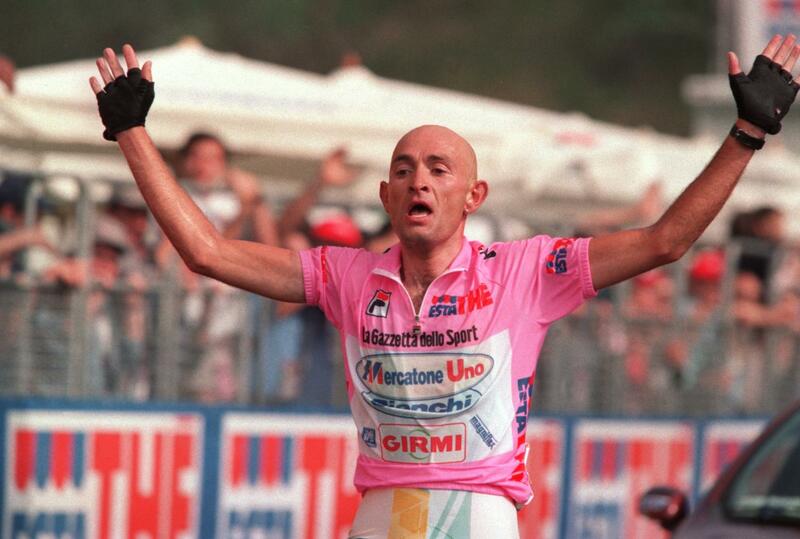 Pantani's attacking style and aggressive riding turned him into a fan favorite in the late 1990s. 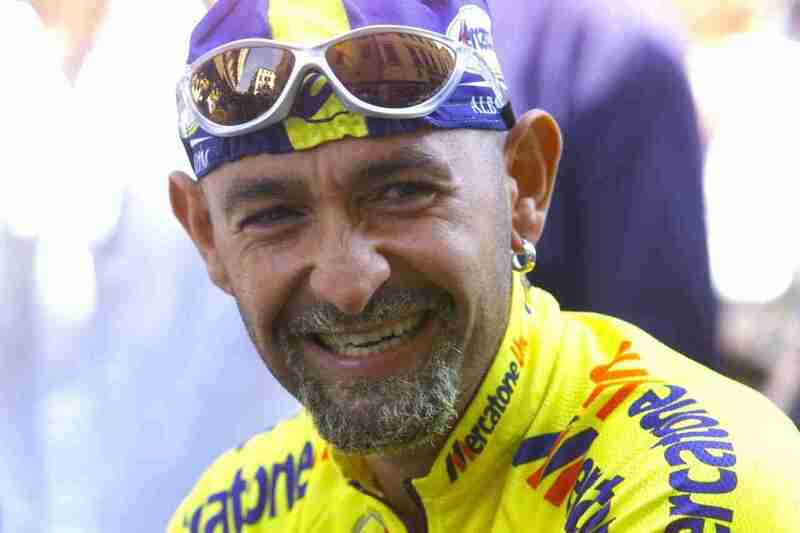 He was known as "Il Pirata" (English: "The pirate") because of his shaved head and the bandana and earrings he always wore. At 1.72 m and 57 kg, he had the classic build for a mountain climber. 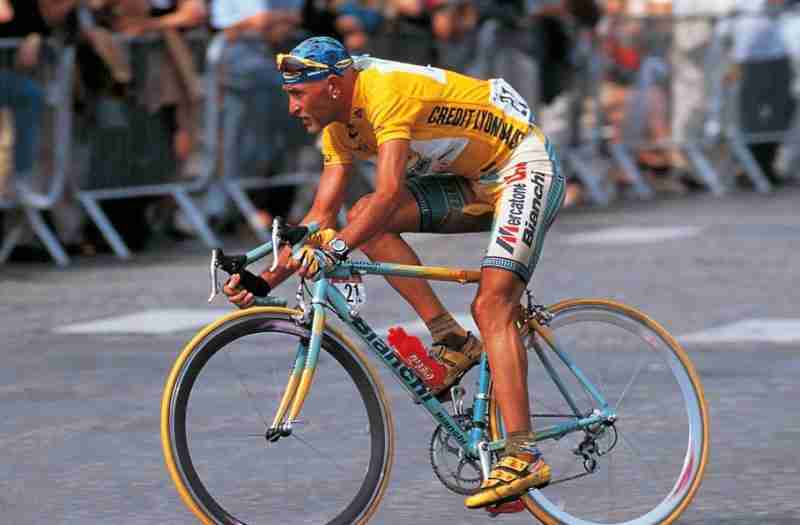 His style contrasted with that of time-trialling experts such as the five-times Tour winner Miguel Indurain.